CAC HosesSFS has added a range of CAC hoses. These convoluted hoses, with outer steel rings, are designed to cope with engine vibration. While special hoses can be made to customer specification, SFS also offers a standard range of sizes – 63mm, 76mm, 89mm & 102mm. 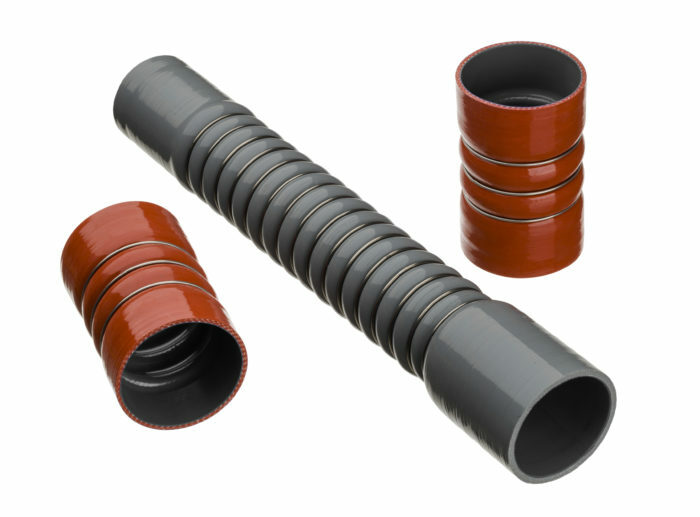 These hoses can be manufactured from different grades of silicone and different reinforcing fabrics to suit the application.